The 2013 Season opens in 10 days with "A Doll's House"! Tickets are now on sale for "A Doll's House", our 2013 AACTFest competing entry! 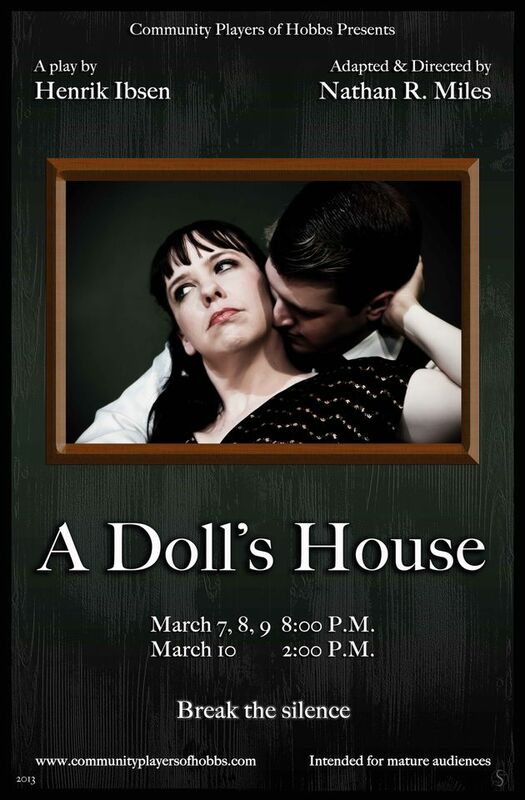 "A Doll's House" will perform in Hobbs on March 7th, 8th, 9th (8 PM) and 10th (2 PM). All seats are $10, and proceeds help to fund our entry in the 2013 AACTFest competition in Los Alamos. "A Doll's House" is directed by Nathan R. Miles, who also adapted this classic play by Henrik Ibsen. Starring are Erin Miller-Gibbs as "Nora", Jeremy Small as "Torvald", with Denise Rusk as "Mrs. Linde", Robert Schumacher as "Krogstad", David Baeza as "Dr. Rank", and Rebecca Venegas as "Anne". This show not only opens our 2013 Season, but on March 23rd it will be performed at the Los Alamos Performing Arts Center in Los Alamos, NM, where Hobbs will compete against theatre companies from Sandia, Lincoln County, and Los Alamos to represent New Mexico at the regional level. So take advantage of these four chances to see the show that will represent the Community Players of Hobbs at competition! "A Doll's House" is intended for mature audiences (adult themes/situations). 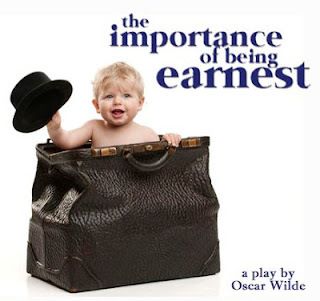 UPDATE: MONOLOGUES POSTED Audition notice "The Importance Of Being Earnest"
Monologues for the auditions can be found by clicking here. There is no requirement to have these memorized prior to the auditions. Being familiar with these will simply aid in the audition process, make you more familiar with the play and it's characters and language. Jonathan encourages everyone to review these monologues prior to the auditions, and as always...break a leg! Auditions for "The Importance Of Being Earnest" will be held Friday, March 1st (6:30 pm) and Saturday, March 2nd (5 pm) at the Playhouse. "The Importance Of Being Earnest" show dates are April 12, 13, 14, 18, 19, 20. The show will be directed by Jonathan Bertschinger. 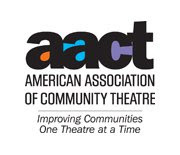 The first of several videos about our upcoming AACTFest 2013 entry, "A Doll's House". Meet the cast and get some of their reactions after the first reading of the script, and their outlook for AACTFest 2013. "A Doll's House" show dates are March 7th, 8th, 9th (8 PM) and 10th (2 PM). Tickets are on sale now, click the ticket icon link on the left (or click here)! 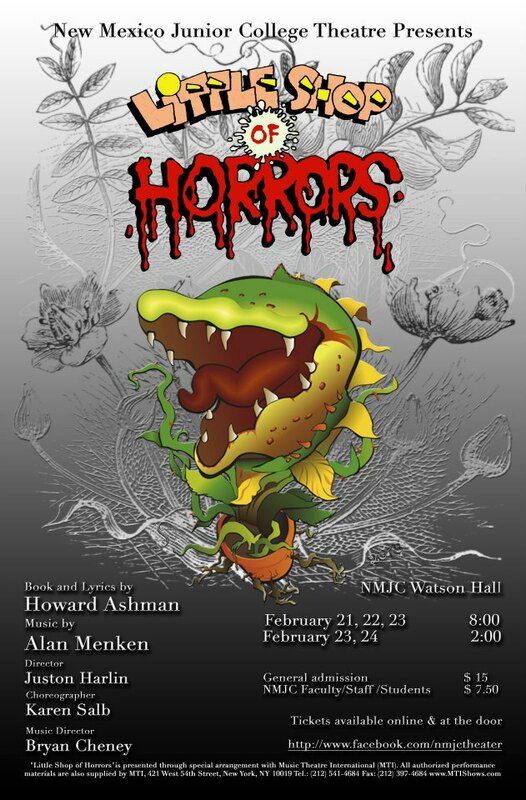 Hey, Playhouse folks...many familiar Playhouse performers are starring in NMJC's production of "Little Shop of Horrors", directed by Juston Harlin, so please go see the show and support the NMJC Theatre Department! February 21, 22, 23 (8 PM) and February 23 and 24 (2 PM matinees). 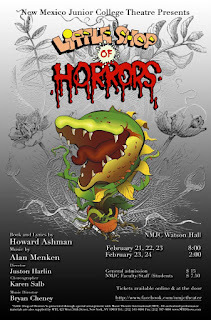 You can get tickets online for NMJC too...visit NMJC Theatre's Facebook (https://www.facebook.com/NmjcTheater) page, and you'll find their ticketing link.